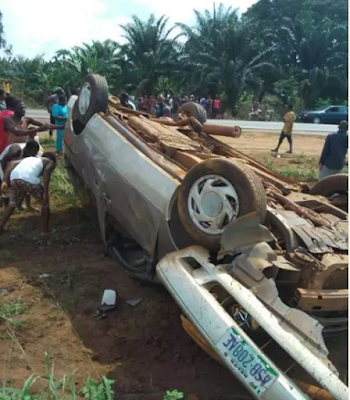 A lady shared some pictures of an accident scene on social media, where she revealed her aunt and 2 kids were the victims of the accident. 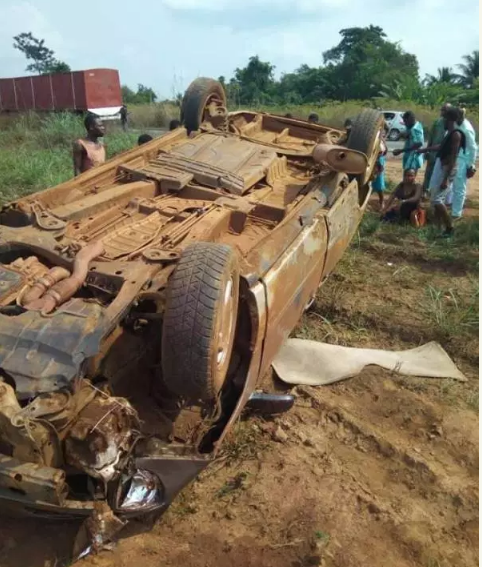 She claimed the car conveying them somersaulted five times but nothing happened to them as they came out unscathed. 'The devil is a liar!